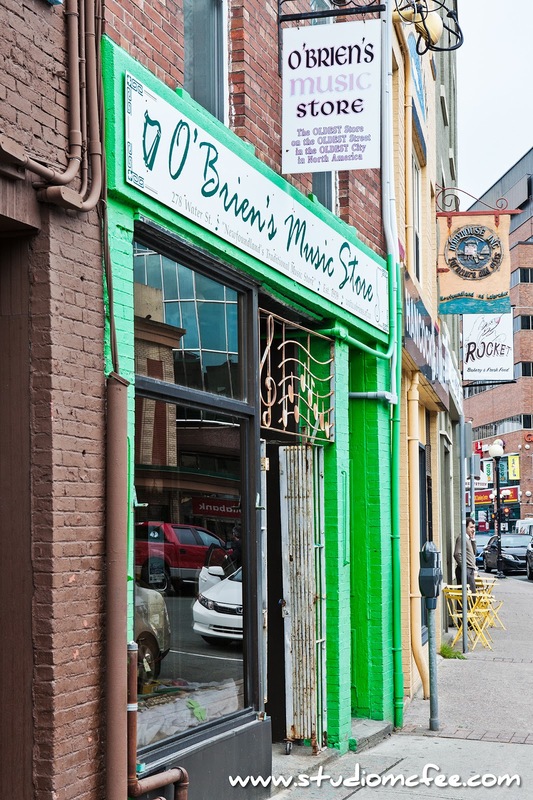 If you're going to visit downtown St. John's NL, go on a Tuesday at lunchtime. 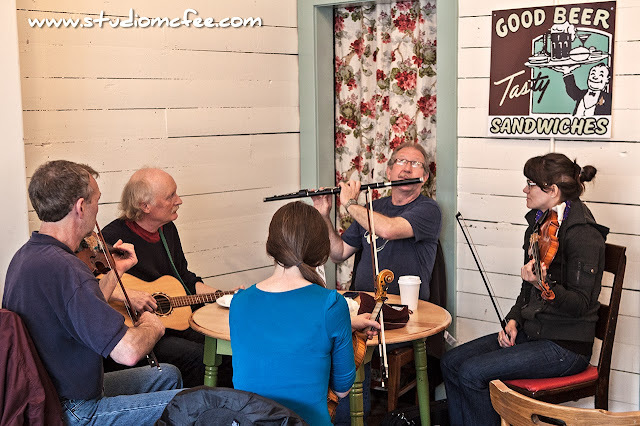 There's a standing tradition of live music at the Rocket Bakery & Fresh Food on Water Street. I happened upon this by chance but wouldn't hesitate to return. Rocket is a fun place with great food. When all the chairs are full, people sit in the window display areas but you might not want to sit - the traditional music tends to make you want to move around. 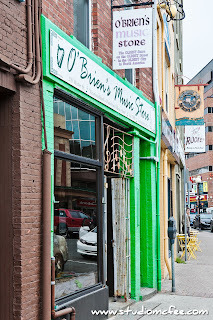 A couple of doors down the street, you'll find O'Brien's Music. The sign says, "The OLDEST Store on the OLDEST Street in the OLDEST City in North America". The proprietor, Gordon O'Brien, attempted to educate this piano player about the world of button accordions. Gordon was very patient and very knowledgeable. When I thanked him via email he replied "We always try to lend a hand." Indeed you do. St. John's has a lot of charm and history. Places like the Rocket Bakery and O'Brien's Music make the experience that much better.